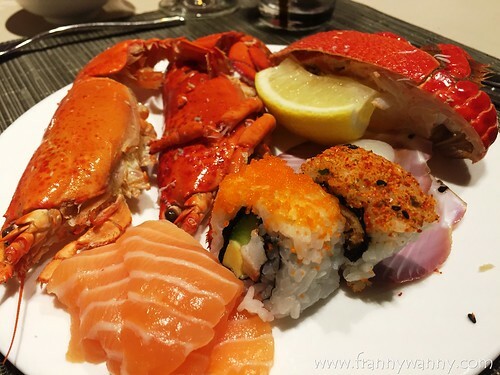 One of my favorite hotel buffet restaurants in Singapore has just gotten a makeover and we were all so excited about it! 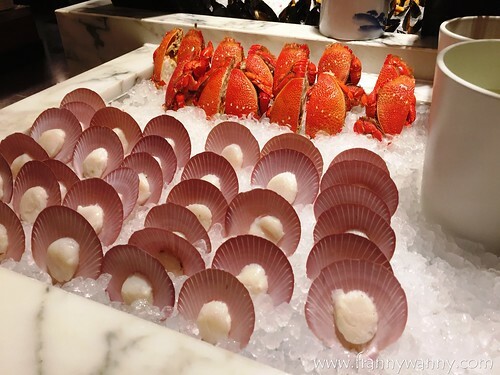 I love it so much that I think I've blogged about it multiple times before, yet I always look forward to any opportunity to go back and have a meal at Melt Cafe in Mandarin Oriental Singapore. I can never have enough of its wide-variety of dishes and I feel that they have one of the best, top-quality Indian selections among most hotel buffets. So, when we found out that they did a bit of "re-formatting", I initially asked "Why?!" You see, I always believe in the saying: "If it ain't broke, don't fix it" and to me, there's definitely nothing "broke" about Melt Cafe. Then again, it's always good to do a bit of refreshing once in a while, right? So, a month ago, I visited the new Melt Cafe with fellow bloggers and we feasted on their newest menu line-up. Instead of writing lengthily about it, let me take you on a virtual tour where you can personally check-out each of the sections, okay? As you enter the main dining area of Melt Cafe, you will be greeted by this mouth-watering centerpiece which contains all the freshest seafood! 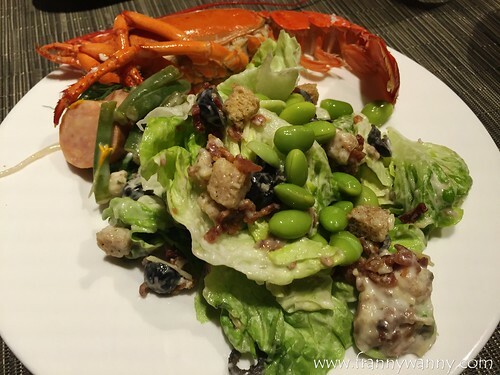 From scallops to crabs, they got king prawns, mussels and my favorite -- lobsters! To go with this, they got the tomato cocktail sauce that Paul loves so much or for minimalists, just go for the lemon wedge and Tabasco instead. Care for some greens? 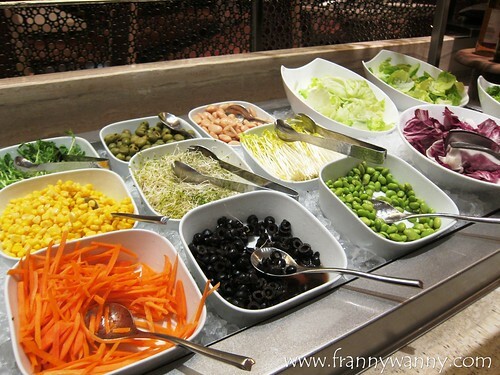 They have a pretty impressive salad bar where I happily helped myself to some lettuce, arugula, croutons, bacon, anchovies and ranch dressing. They have provided a huge wooden bowl at the side allowing you to toss your salad yourself. 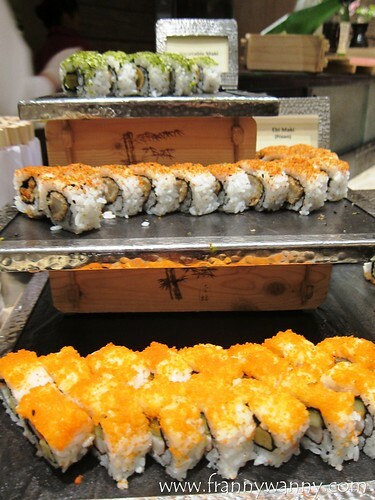 I also like starting my buffet meal with sushi. It's a habit that I've formed since I was much younger and somehow no meal is complete without it. I helped myself to slices of fresh salmon sashimi and a couple of hand-rolls too. So yummy! There are also a couple of pre-prepared salads and starters found in this area which you should check out! They also have a nice corner filled with all kinds of bread and baked goodies. Moving on, head over to the other side of the buffet area and head straight to the Indian station. Melt Cafe is known for their delicious curries, tandooris and naan breads. 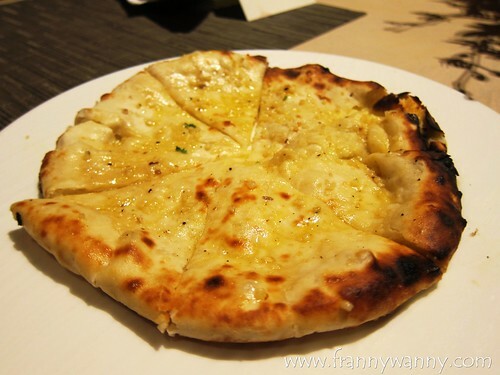 We requested for plates of Cheese Naans to be served to our table and we just love how it comes fresh from the oven where the bread is so soft and the cheese still oozing. I also love the Palak Paneer and Butter Chicken too. 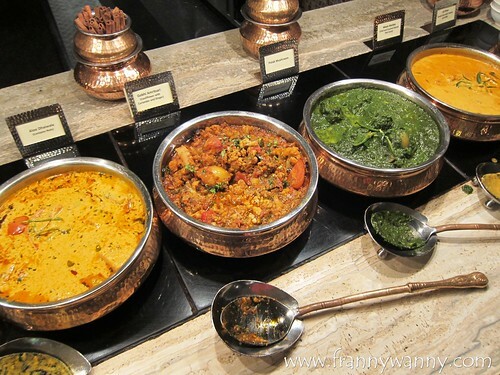 There are a total of 3 rows of hot dishes from Indian cuisine to seafood options and a couple of Western selections too. I would try to get some of each and see which ones I'd like to go back for seconds for. 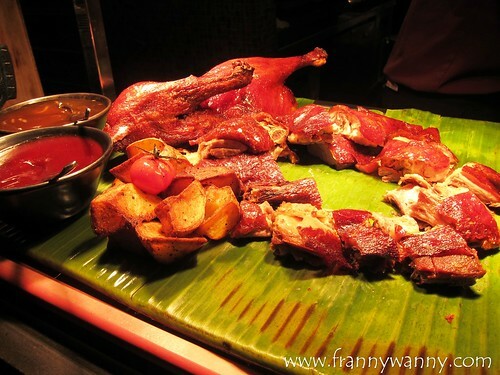 After which, I headed to the Roast section where you can have some Roast Duck, Hainanese Chicken, Suckling Pig and Roast Beef to name a few. It comes with different types of mustard and gravy which you can pair with your cuts of meat. I just wonder how come they never served Pork Ribs. 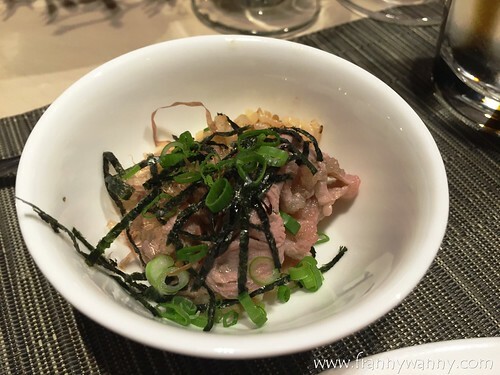 One thing new that I noticed was the Sukiyaki station where the Chef would prepare a bowl of sukiyaki beef on Japanese rice on the spot for you. The serving is pretty small which means you can just go back for more. Don't waste food, okay? Normally, at this point, I'm ready to end my meal with dessert. 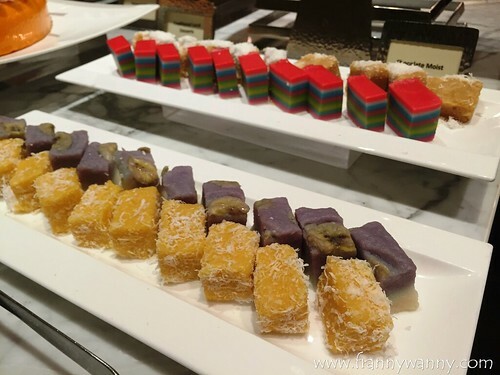 As I wandered off to the elevated section where the Dessert station is located, I noticed a new addition to the buffet line-up. CHEESE!!! 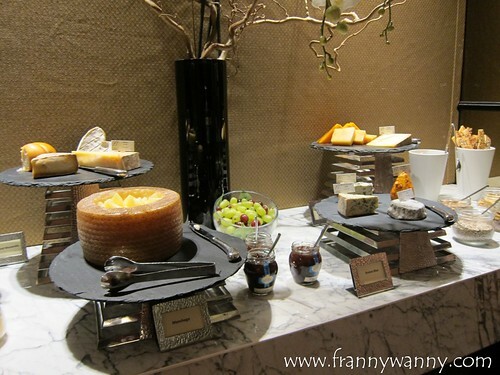 Yes, they got a pretty impressive spread of hard and soft cheeses together with some dried fruits, nuts and crackers. Oh yum yum yum! I went crazy trying every single soft cheese on the counter. They have a couple of homemade cakes and tarts. 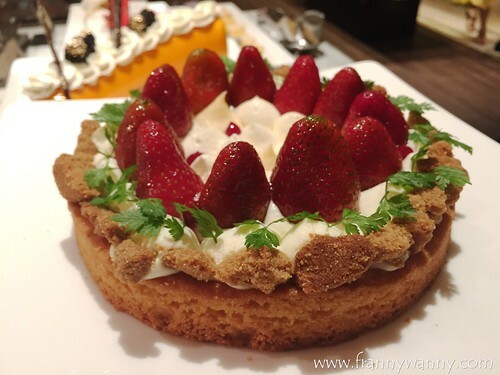 This Strawberry Sable Cake was there at the start of our dinner however it was already missing by the time I went back for dessert. Guess it must be THAT good. Anyway, they also have some local kuehs and bite-sized pastries too. 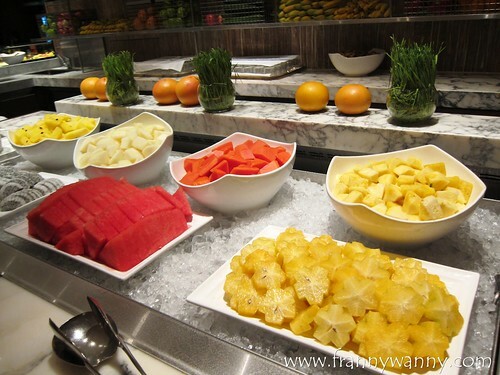 Those who prefers to end their meal with fruits will love the wide-choices of cut-up fruits available. Yes, I was totally loving the boiled lobster that I would always get a piece or two in every round. I can't wait to go back for more! 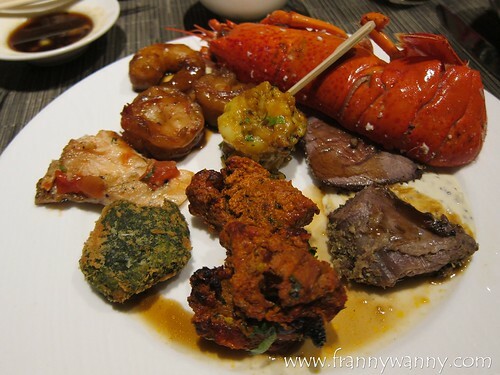 These are simply the reasons why MELT Cafe continues to be one of my favorite hotel buffet restaurants. Melt Cafe is located at Level 4, Mandarin Oriental Singapore, 5 Raffles Avenue, Singapore 039797. Call them at +65-6885-3500.